​When going on a fishing tour, you want to create the most memorable experiences with every trip you make. A fulfilling fishing adventure is as a result of good planning ahead of time. You want to enjoy your trip and focus on fishing and not concentrate on taking care of emergency issues that could have been avoided. Are you going fishing to celebrate a special occasion with your friends or family? You can do fishing as a special activity to celebrate the reunion of your family members or as an occasional activity to do during family gatherings. If this is the case, then you have to plan a group fishing trip. It means you have to consult everyone who will be on your fishing trip to know when best to plan the fishing adventure to ensure that everyone will be on board and plan finances well in advance. 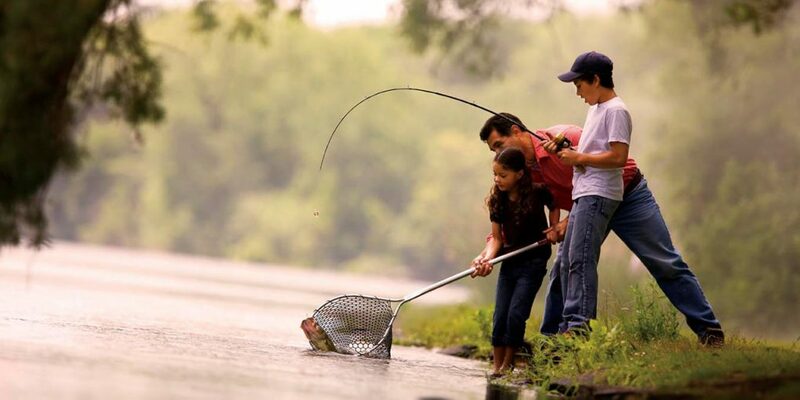 If you are fishing for the first time or you have small children, it is important to plan short fishing trips. Long fishing hours require adults who are seasoned fishermen. If you have small children or new fishing anglers, then the fishing trip is for testing the waters. A half day fishing will be very ideal for such a group of persons. This is fishing for 4-6 hours and not longer. But after several short finishing trips, you can now plan to spend the whole day fishing or spending up to 3 days finishing doing overnight fishing expeditions. When choosing a fishing destination, you can get information from the internet or fishing magazines. It all depends on your personal tastes and preferences, your budget, how much fishing time you have, your group desires and what kind of fishing experience you are seeking, and, are children involved? After choosing the location where you will go for fishing, you can now budget and plan the other trip details easily. Are you looking for a challenging and thrilling fishing experience? Before deciding to do a thrilling deep sea fishing experience, why don’t you test the waters first by trying pier fishing or fishing in local waters in your area? If you are looking for a deep sea fishing adventure, then you will need to select a destination that offers deep sea fishing. An adventure like fishing is better enjoyed with family or friends. Find someone who shares your passion to go with them and who knows how to plan a trip. Find someone who is willing to follow your calendar and agree with you on budgets, destination and when to go. What means are you using to travel to your destination? What accommodation options are you considering? If you choose to go camping, then you have a lot of planning to do because you will be self-catering. Ensure you have packed enough food. Better to have excess food than run out of food. In order to do this, meal plan for all the days you will be fishing and include meals for an extra day or two. What water will you be drinking during the fishing period? Make sure you have packed enough drinks, snacks, condiments and don’t forget to pack enough utensils. Food is one of the factors that determine the success of an adventure trip. Are you visiting the fishing destination for the first time? Then you need to research about the area properly. You will find all the information you need from the internet. It is very important to be prepared so that you will not get into any kind of emergency situation and also so that you can focus on fishing. Information on road access and about the waters where you will be fishing is very important. What is the current state of the waters? Is the area covered by internet? What about mosquitoes and other bugs in the area you have chosen to go fishing? What is the state of your fishing destination a few days before you begin your fishing expedition? It is important to know the water flows. Check the streamflows and water temperatures online. Streamflows will give you the current state of the waters where you will be fishing. To learn more you may visit out this page to know about best 10 deep sea fishing spots. Ensure that you take precautions for all your health needs. Ensure you carry enough warm clothing. Also, ensure that you can handle any kind of DIY health scenario. If everyone in your group is inexperienced, and if you are going to delve into deep waters then you need a guide. Ensure that you budget a guide in your trip. You can choose to get a guide in advance or get one once you get to your fishing destination. When do you plan to go fishing? If you cannot plan too much in advance, then it is important to choose fishing destinations with tropical weather where fishing is conducted almost all year round. Choose your fishing season, whether you want to go fishing during summer, fall, spring or winter. You need a map to guide you. You can download Google earth on your computer. An online map will help you identify lakes, campsites, roads, all access points, ponds, waterfall in your desired tourist destination. Be sure to combine the Google earth map with a good physical map. If you are going on an adventure fishing trip, it is important to start planning in advance. This will ensure that you enjoy your fishing trip. You want an experience that will make your fishing group look forward to the next fishing trip.